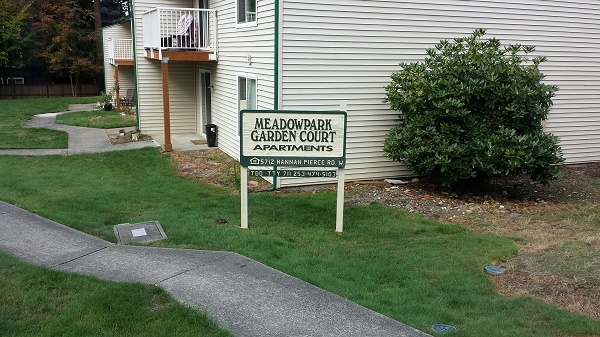 Meadow Park Garden Ct. Apartments will soon be going through a massive Rehabilitation of the property. This Rehab will consist of but not limited to, W/D in units, A/C in units, Carports and assigned parking, wall to wall vinyl plank flooring, childrens play area, community room, new Rental Office, and an overall new look. Due to this Rehabilitation the wait list currently differs. Please see the following. The Commission gives the owner(s) new income and rent limit tables each year. This property has agreed to reserve some or all of the units for households at or below the 30, 35, 40, 45, 50 or 60% income limits found on these tables. The rent tables show the maximum rent a property can charge for a unit based on a household's income, number of bedrooms in the unit or the number of people in the household. Some properties have more than one income limit. Ask the property representative for specific information. HUD project Based Section 8/ LHITC subsidy available for qualified households. Rent based on 30% of adjusted income. Please see income limits below. Two and three bedroom apartments for households of 2 or more. Conveniently located within minutes from I-5, two shopping malls, Joint Base Lewis-McChord, local grocery stores, Wal-Mart, Fred Meyer and two golf courses. We are nestled among a wooded area with off street parking. Below HUD Very low income limits with preference for low limit households. Soon to be remodeled with Washer/Dryer & A/C in unit, playground, carports and Rec Room. HUD project Based Section 8 subsidy available for qualified households. Rent based on 30% of adjusted income. Please see LHITC Income Limits.